Upon Rumble, there are over 21,000 social video creators publish their works on this site, including professional creators and amateurs. The videos on Rumble involve different categories like news, daily shows, DIY casting as well as other funny video clips. For the fans of Rumble, watching Rumble video on the go is a great idea for entertainment. They can have fun from Rumble video at any time and any place. To download Rumble video, you may check the methods recommended below. All of them are efficient and good to use. The easiest way to download online streams is using online application. Video Grabber is a web-based tool that performs perfectly in downloading online video. It can analyze the video link and download online streams in different formats and definition. This tool supports most of video hosting sites, including YouTube, Vimeo, Dailymotion as well as Rumble. Absolutely, it’s totally free without any costs or registration. Benefiting from the intuitive interface, you can operate this tool without any hassles. Check the instructions below to learn how to download Rumble video with this downloader. Click up a video on Rumble and then copy the link. Paste the URL on the address bar and then hit “Download” button. Choose preferred format and definition to start downloading. If it’s the first time for you to use this application, the webpage will guide you to download and install Launcher which makes the downloading process more stable and faster. Don’t worry, this component is 100% safe and clean. Also, it’s extremely small that won’t take too much space on your disk. 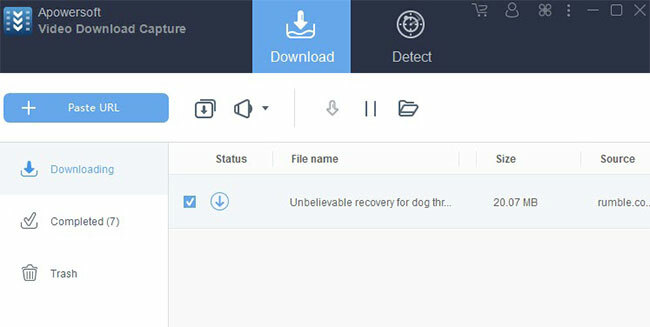 Another Rumble video downloader is YooDownload which is also an effective online application. Likewise, it only requires users to provide video link and the program will automatically analyze and download online streams. Before downloading, you can also choose needed resolution like 720P, 1080P, medium, HD and many more. 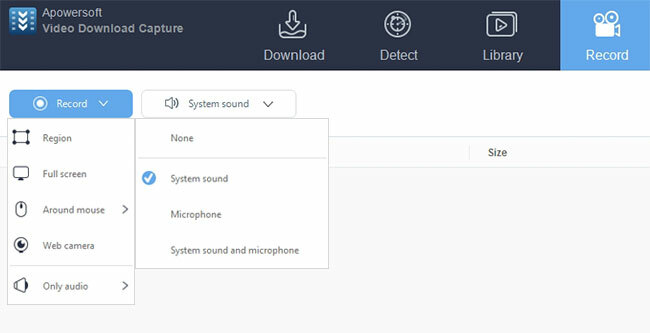 In addition, if you just want to save the audio section only, this tool also empowers users to convert the online streams to MP3 file. It’s quite simple to use this application, you may refer to the following steps. Copy the link of Rumble video. Navigate to the site of YooDownload. Select desired quality and launch downloading task. 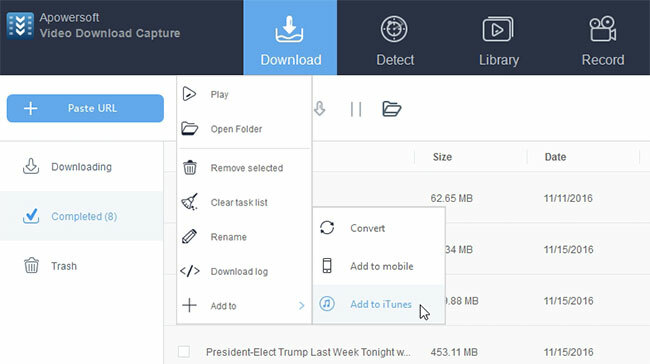 If you want to transfer the download video to your mobile phone or other portable device, you may consider using AirMore to do this job. It is a free online service that enables users to transfer data between mobile and computer. In the meanwhile, it’s compatible with both Android and iOS device. To get start, you need to download and install AirMore app on your device. Click the button below according to your operation system. Visit the site of web.airmore.com on your PC. Launch AirMore app on your mobile and then scan the QR code on webpage to connect mobile and PC. Click Video icon and then press “Import” > “Import Files” button to choose downloaded video. Absolutely, there’s a desktop downloading program that can also finely download video from Rumble. It would be a nice choice for those people who prefer more advanced functions. As the name indicates, Video Download Capture is a professional program to download online videos. It performs wonderfully in downloading online streaming from most of video hosting sites like YouTube, Vimeo, Rumble and many more. Meanwhile, it is equipped with a video detector that can automatically detect and download online video without any operations. Moreover, this program also comes with video converter and screen recorder which are also good to use as well. You may do as follow to download Rumble video. Click the button below to download and install this video downloader. Copy video link from Rumble. Launch the program and then hit “Paste URL” button. Auto-downloading: The built-in video detector can detect and download online streams automatically. Therefore, you don’t have to perform any operations to grab online video. To activate this function, simple click the option of “Enable detector” at the bottom of main interface. Screen recording: For the encrypted videos, the built-in screen recorder will be serviceable. It can perfectly capture all screen activity with sounds. It provides multiple recording modes, such as full screen, regional area, etc. Mobile transferring: This program allows users to import downloaded video to mobile directly. You can go to the tab of “Completed” and then right click the item that you wish to transfer. And then click “Add” > “Add to mobile” or “Add to iTunes”. All of methods mentioned above are efficient to help you download video from Rumble. You can choose one that you like most.